Patrick Dai is an entrepreneur and Founder of Qtum. He lives in Shanghai. Patrick started his career in 2014 as a Product Developer and Manager at Alibaba Group. In 2015-2016 he was a Technical Advisor at Factom, and served as a CTO at Vechain and Bitse Group. 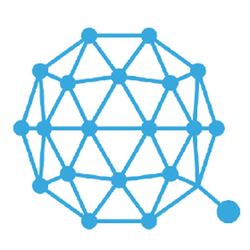 In 2016 Patrick became the Founder of Qtum . In 2011 Patrick received a Bachelor's degree in Computer science from Sichuan University. In 2012 he obtained a Master's degree in Computer science from University of Science and Technology of China. He also holds a Doctor of Philosophy from University of the Chinese Academy of Sciences. All information for Patrick Dai's wiki comes from the below links. Any source is valid, including Twitter, Facebook, Instagram, and LinkedIn. Pictures, videos, biodata, and files relating to Patrick Dai are also acceptable encyclopedic sources. Other wiki pages related to Patrick Dai.